Abstract: Water scarcity remains a huge problem in many countries, especially where a growing population compete with demands for water from industry and agriculture. In 2010, a United Nations General Assembly resolution recognised the right to safe and clean drinking water as a human right. However, the actual impact of this relatively new human right to water remains unknown. The project will analyse the effects of the 2010 UN resolution and establish how it has affected social movements and legal approaches to the right to water. The main objective of this project is to understand the potential of rights-based strategies to secure access to clean water for marginalised populations. The project investigates whether states have become more accountable to their populations in providing access to clean water and protecting water sources. The Human Right to Water will be analysed to see whether it prompted a shift in law and policy towards water for human consumption, health and employment. The team will examine whether the UN resolution has changed how water-related cases are taken to court and whether they now use the right to water as a main argument. The framing and interpretation of the UN resolution by the different courts will be researched. The social movements in each country will be examined to see how they have changed their approach after the UN resolution. The team will look at the strategies used by these movements, including media and online campaigns, marches and protests, and will assess whether they lobby politicians for their cause. 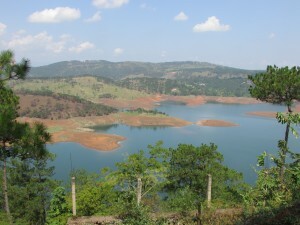 A multidisciplinary team, with expertise in law, political science, economics, anthropology, psychology and water resource management, will conduct five specific case studies (Brazil, Costa Rica, India, Peru and South Africa). As each selected case is different, the methodology will be adapted to fit the case. The team will undertake interviews and examine court cases and media coverage of water rights. The project team aim to engage with the public, practitioners and scholars interested in water rights. This is reflected in the intended outputs of the project, which encompass news op-eds, public events, peer-review articles and policy briefs. The project will produce eleven articles for peer-reviewed international journals and an edited book on the human right to water. Team members will participate in panels at conferences, and organise public events and seminars, both in Norway and internationally. The project team will develop an open-access database of water rights related court cases in domestic and international tribunals.